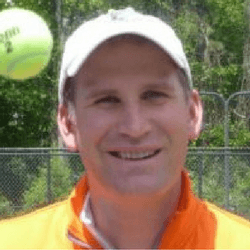 Peter has coached division 1 college players, produced state level and national champions, and been awarded the honor of USTA Georgia Pro of the year. He loves teaching students of all levels and ages. Peter has a passion for tennis like no one else in the business and will do whatever it takes to get your game to the next level. Peter has created tons of fantastic free and premium tennis content on youtube and at Crunch Time Coaching, He has coached under Tony Palafox, who was John McEnroe’s former coach, and Frank Brennan former Stanford University Coach who won 10 national titles.